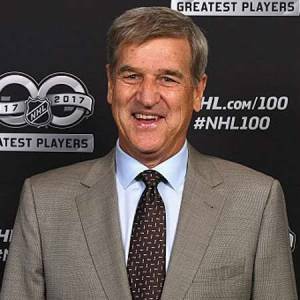 Regarded as one of the greatest of all time, Bobby Orr is a Canadian former professional Ice hockey player who played in the National Hockey League for 12 seasons. He played his first 10 years with Boston Bruins and later moved to Chicago Black Hawks where he played for 2 years. Orr was ranked 2nd best by NHL in the history only after Wayne Gretzky. He is married to Margaret Louise Wood since September 1973 and has two children with her. Orr is reported to have the net worth of $35 million in 2019. Bobby Orr has an estimated net worth of $35 million dollars in 2019. He is reported to have earned $4,805,000 in his 12 seasons in NHL. Orr had the annual salary of $25,000 in 1966 which was his first season in the league. In his last professional season in 1981, he reportedly earned $600,000 as yearly salary from Chicago Black Hawks. Despite being one of the highest paid players during his playing career, Orr went bankrupt after his retirement. He briefly served as the assistant coach for Black Hawks and earned around $1.3 million. During that time he also signed with Baybank and Standard Brands for endorsements which fixed back his finances. 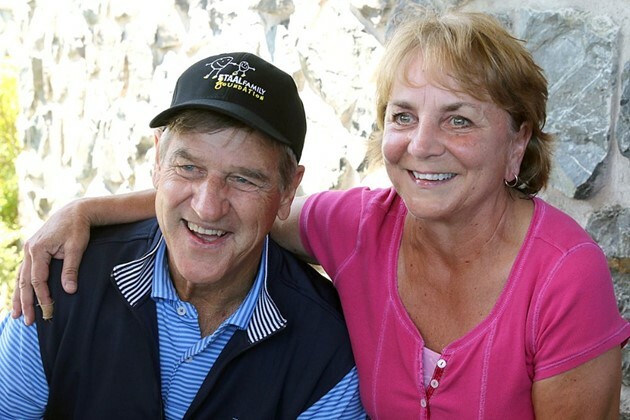 Bobby Orr owns a house in Sandwich, Massachusetts (MA), US. Some reports claim that he also has bought a house in Jupiter, Florida. Bobby Orr supports program that gives aboriginal youth hockey equipment. Bobby Orr is married to Margaret Louise Wood. The couple tied the knot in September 1973. Their wedding ceremony was held in Parry Sound, in presences of their family and some close friends. He met the Trenton, Michigan native and speech therapist, Margaret while on a vacation and got engaged on Christmas Day, 1972. At that time she used to work in Fort Lauderdale, Florida. They are blessed with two sons named Darren and Brent. His older son Darren is a player's agent at Orr Hockey Group while his other son Brent is a college student. He spends a lot of time and money on charity work. He also loves playing golf in free time. Bobby Orr was born on March 20, 1948, in Parry Sound, Ontario of Canada. His star sign is Pisces. As per nationality, he is a Canadian. He was born to father Doug Orr and his mother Arva Steele. His father was also a hockey player who later join the Royal Canadian Navy during World War II. He was from the sporting family as his grandfather too was a soccer player. Bobby started skating at the age of four on a gifted pair of skates by his father’s friend; Gene Fernier. He started playing Hockey since his early age of five. Bobby Orr played several hockey tournaments as a youngster in the defense position. But his professional career started to begin from 1961 when he came to the light while playing Youth Hockey Tournaments. He got several offers from different teams, but he signed a contract with Bruins in 1962. At the age of only 14, Bobby made his debut as a junior in the new Metro Junior league competing against much older players. He improved his performance in his next two season 38 goals and finished with 94 points. During the season of 1966-67, Bobby made his professional debut against the Detroit Red Wings with one 13 goals and 28 assists in the season which was an unpredictable result from the defenceman. Due to this, he was presented the Calder Memorial Trophy and named the league’s outstanding rookie. After that, in the very next season, he suffered from injury from collarbone fracture and a shoulder separation due to which he managed to play only 46 games. Despite the injuries, he got his name in NHL’s first All-star Team. The first hat-trick of Bobby came in the season of 68-69 against Chicago despite the constant pain of previous injuries. His historic goal gave Boston its first Stanley Cup since 1941 in 1969-70 Season. Not only that, he led his team to the playoff once more in 1972 and scored a winning goal against New York to grab the championship title. In that season, He was awarded by MVP award. 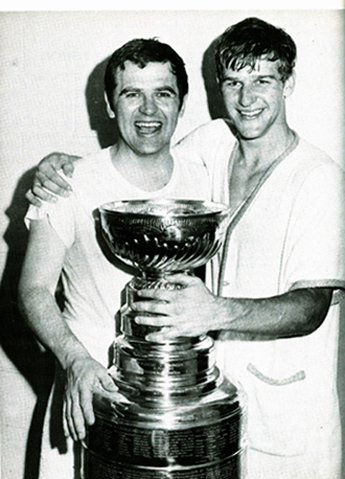 Bobby Orr made the record of the most point in a game by a defenceman scoring 3 goals and 4 assists against New York Rangers in 1973. A year later he made a new record of 46 goals and 89 assists by a defenceman. After the end of a contract with Bruins in 1976, Bobby signed with Chicago Black Hawks in June 1976. But due to frequent injuries of the knee, he could play only 26 games and retired in 1978. Bobby Orr is one of the legends in the history of Ice hockey. He had 270 goals and 645 assists in 657 games in his name. He scored nine hat-tricks and 40 goals in a single season. He was the first defenceman to do so. In 1970, To honor Canada’s top Athletes, he was awarded the Lou Marsh Trophy. Similarly, he was the winner of the Art Ross Trophy twice. Bobby Orr was the youngest ice hockey player to be inducted into the Hockey Hall of Fame at just the age of 31.